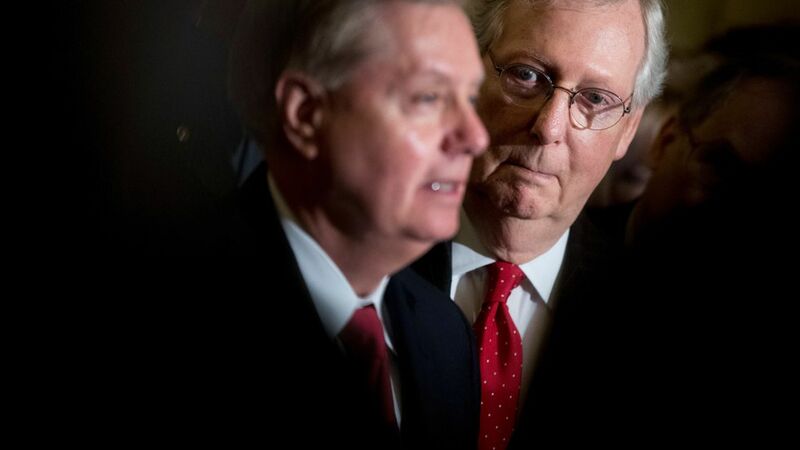 After President Trump's endorsement of Roy Moore, several prominent Republicans, including Mitch McConnell and Lindsey Graham, backed down from their calls for Moore to step down. Instead, they said that it was up to the people of Alabama to decide. The RNC reinstated its support for Moore — on the same day the DNC called for Sen. Al Franken to resign due to allegations of sexual misconduct. Joyce Simmons, a Republican National Committeewoman from Nebraska, resigned because of the RNC's decision. are losing their jobs over such allegations, Moore could be elected to the Senate with his party's full support.